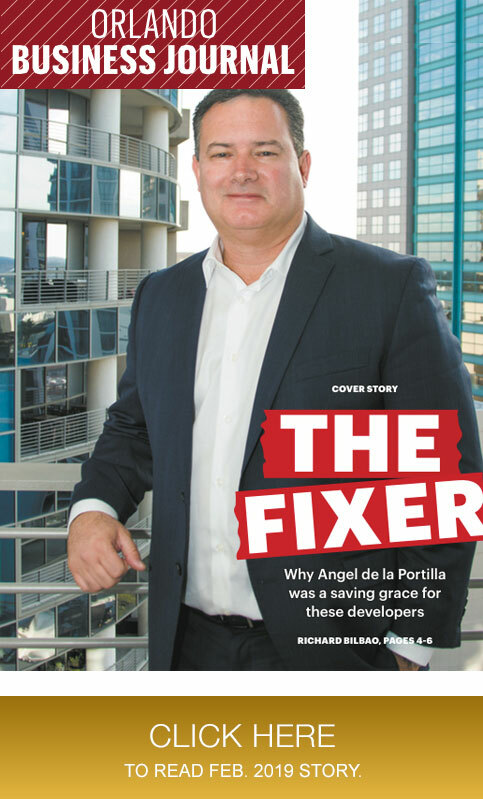 There are many who say success in business isn’t only about what you know, but also about who you know — and there aren’t many people Orlando businessman Angel de la Portilla doesn’t know. 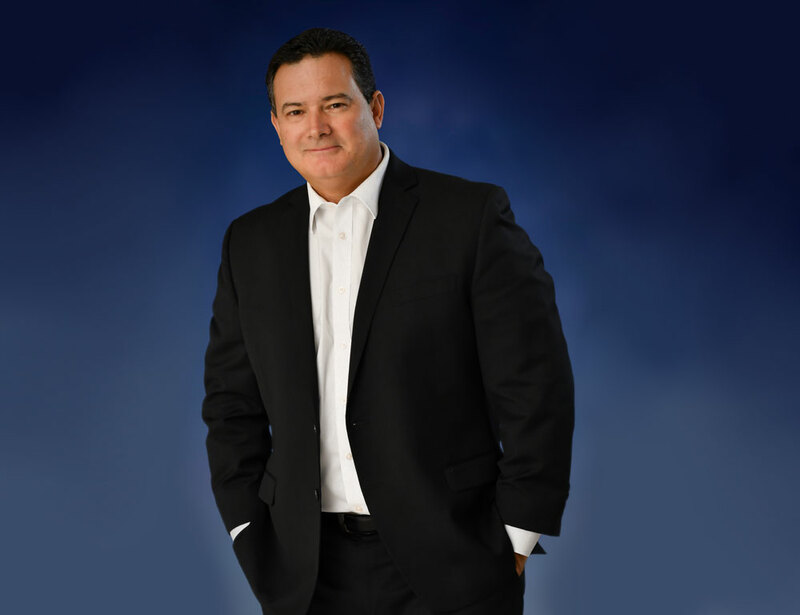 De la Portilla, 51, is the founder of Orlando-based government consulting firm, Central Florida Strategies, and has represented multiple high-profile projects and companies valued at more than $1 billion combined. Some of the company’s major efforts have more to do with providing consulting for ongoing public discussions — such as helping get the approval for the $500 million Skyplex project on International Drive, which needed approval for its 501-foot-high Skyscraper polercoaster centerpiece attraction. Rosen Hotels & Resorts: The Orlando-based operator of nine hotels with more than 6,600 rooms is headed by one of the most influential businesspeople in Orlando – Harris Rosen. The company is also very proactive in philanthropy and government-related issues that impact the Orange County Convention Center and Orange County’s tourist development tax. Andretti Indoor Karting & Games: A $35 million, 135,000-square-foot entertainment facility partly created by the Andretti racing family. It opened in 2017 across from the Orange County Convention Center. Wallack Holdings: The company is the developer behind the Mango’s Tropical Cafe restaurant/nightclub and $30 million Hollywood Plaza entertainment/parking complex on International Drive, as well as the future $500 million Skyplex project, which would include a Skyscraper polercoaster, a drop tower, zipline, surf par, retail, hotel and more. In addition, Central Florida Strategies has begun early consulting work for Dezerland Action Park at the current Artegon Marketplace. The new Dezerland Action Park includes a 1,500-vehicle Orlando Auto Museum — the first piece of a $20 million renovation of the former 300,000-square-foot-plus Artegon shopping mall. How has your business changed in the past 10 years? My territory and area of work has expanded. I named my company Central Florida Strategies and I’m really working throughout Central Florida now, whereas maybe seven years ago I was primarily in Orange and Osceola counties. I have developed some really good relationships in 10 years with folks, so when I need to get something done on behalf of a client, I know who to call and I can get things done quickly. What skill do you offer that make your business unique? When dealing with government as I do in the arena I work in, you have got to have good political relationships. You have to know who the decision makers are and the politics within those jurisdictions and have those relationships. More than 95 percent of businesspeople and business owners don’t have those relationships. You may know fellow members in your industry, but they don’t have the relationships with the members in the city and county commissions or the state Legislature. What separates me is the professional political relationships I have developed living in Central Florida and being active and engaged politically for the last 20 years. So when an issue comes up, I know how to resolve it very quickly and who to call. I am able to help and get results a lot quicker. Is your background grounded in politics? Yes, I was born in Miami, but both my mother and father are Cuban exiles who left for political reasons. My mother came to the U.S. at the age of 16 after her and her sister were distributing propaganda against Fidel Castro in their school, the head nun found it and told my grandfather she could get arrested if the government found out. They thought they were going to be in the U.S. for six months, but they never went back. In relation to my father, Fidel Castro visited my grandfather in 1961 during the revolution because he was a prominent attorney and political influencer in the city of Matanzas, Cuba, and Castro was trying to consolidate power and find support, but my grandfather told him he didn’t support him, and within three days, my father’s family was out of Cuba and never went back. Does that history go further beyond Cuba? Actually, we traced our family roots all the way back to Spain, and I am a direct descendant of the second Spanish governor of Florida, Rodrigo del Junco, who was appointed by the King of Spain in the 1590s. The way we were able to trace that back was with my great-great grandmother’s name, Maria del Junco, where we traced the lineage back to Spain when Florida was still a colony of Spain. That’s like 15 generations ago. How far back does your personal political activity go? I volunteered for the Ronald Reagan campaign when I was at Christopher Columbus High School in Miami and I was also the co-coordinator of the youth campaign for Reagan-Bush in 1984. In fact, I was invited to visit the White House at the age of 17 by President Reagan and, four years, later under President George H. Bush because I was very involved in the Miami-Dade County Republican Party. What was one of your first jobs? One of my uncles had a mattress manufacturing compan,y and at 15 years old, I started working there in sales. We would sell the mattresses to hotels and cruise lines and I would travel throughout the state selling those mattresses. I also had other uncles who went into construction and technology. But what inspired me was that I saw the success they had — something I saw very often in the Cuban culture while growing up in the ’70s and ’80s. What was your first business venture? In 1990, I moved to Orlando because I wanted to be an entrepreneur on my own. I knew I couldn’t do it in Miami because of family pressures, so I chose to move away. I always loved Orlando because I remember coming here to visit Disney and knew this was a great city. So at 23 I started a company called Innovative Designs Furniture Manufacturers, where we would make furniture primarily for hotels, timeshares and vacation homes in Central Florida. I knew there was a market for it because I was seeing a lot of the hotels order furniture in Miami, so why not come to Central Florida where there’s more hotels? What happened to that furniture business? Well, my father was diagnosed with lung cancer in 2000 when he was 63 – he was a heavy smoker and it was terminal — he died in 2002. During those times, I was extremely busy with work, I had four retail outlets and merchandise orders and the stress of managing 20 people, so I really couldn’t leave Orlando a whole lot to be with my dad. At the very end I was there, but I came to the realization that I don’t want to be the guy working 100 hours a week and is successful, yet never enjoys life. So I started looking for an exit strategy to sell the business and I got out in 2005 and sold the company during a strong economy. I then got my real estate license and went into commercial real estate in 2006. How did your real estate years lead to your current business? I first started with Marcus & Millichap (NYSE: MMI) and then with NAI Realvest with Paul Partyka and the late, great George Livingston. While there, George gave me some great advice. He said: ‘Angel, you’re really not meant to be in real estate because you have a lot of good political relationships. You should somehow look to leverage those relationships into something other than real estate.’ And so that’s what I was going to be: A governmental representative for real estate developers. And thus you found your way back to politics again? Yes, I’m passionate about it. I love being involved in business, politics and government. What’s a little-known fact about you? I have a photographic memory for dates and events going back over 40 years. What advice do you live by? You only live once. After nearly 30 years in Orlando, what do you see that’s still needed here? I think we lack in big transportation. We need to connect people from the airport to the convention center via some mass transit. I can’t wait for the Brightline train, because I’ll be able to work here and be in downtown Miami in three hours without flying or driving. We need to expand on that, because our region will continue to grow.